From 24 to 25 January 2019, the work of the PROG and the IASS was exhibited at a multi-stakeholder dialogue and capacity-building partnership event in New York, organized in support of the United Nations Regular Process. The event highlighted the importance of integrated assessments for decision-making, identified related capacity gaps and needs and gave room for showcasing best practices and lessons learned for enhancing the science-policy interface to support the World Ocean Assessment. 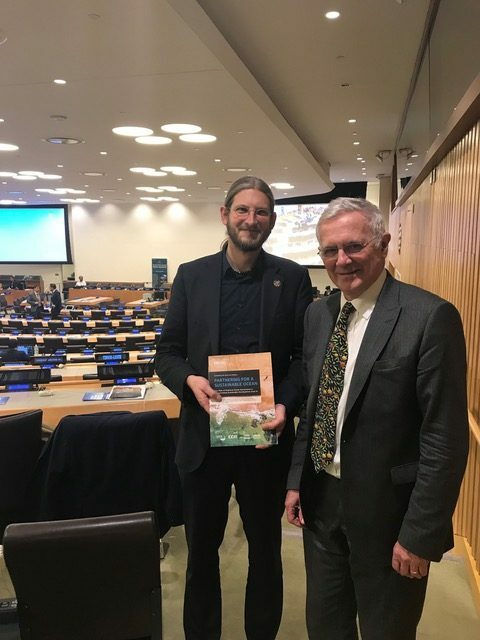 Dr. Jörn Schmidt (Kiel Marine Science, ICES and German Focal Point for the World Ocean Assessment), presented the current PROG projects STRONG High Seas and Marine Regions Forum to a wide audience. In addition, the information fair at the event gave the opportunity to introduce some of the recent work of the PROG and the IASS on High Seas Governance, SDG interactions, SDG 14 implementation and capacity development.